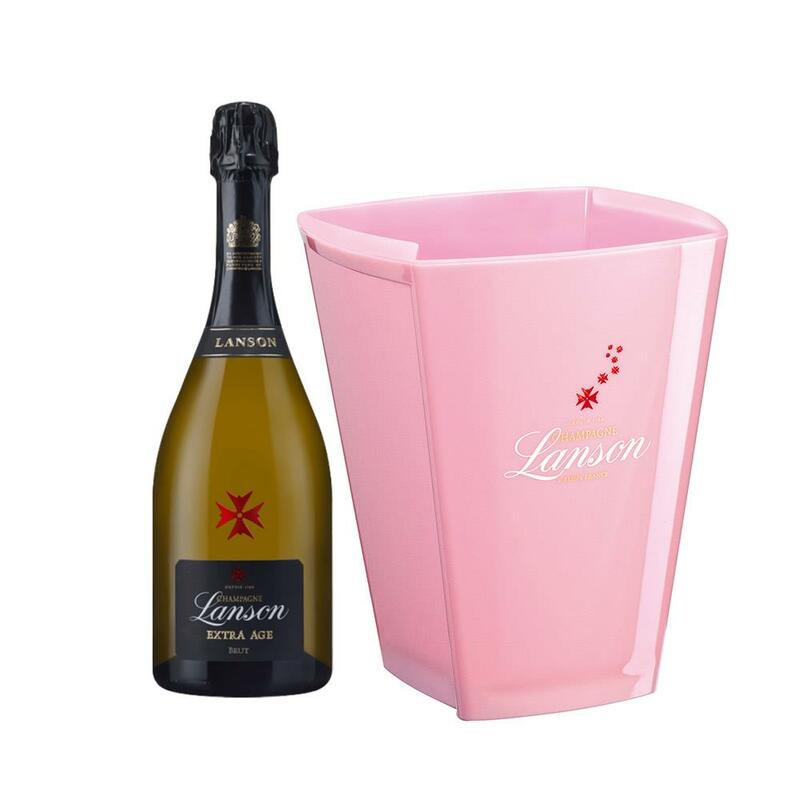 Buy this set and get a full bottle of Lanson Extra Age Brut 75cl packed together with this lovely Lanson branded Ice Bucket. Lanson Extra Age Brut is a n exquisite multi-vintage marriage of Pinot Noir and Chardonnay – 2000 2002 and 2004 – vibrant straw yellow colour with an array of tiny bubbles. On the nose bouquets of fig, winter pear and honey, combined with bready notes reminiscent of French pastries. The attack is ample whilst the body is generous and complex. The champagne bottle comes presented in a large stylish black Lanson branded box.